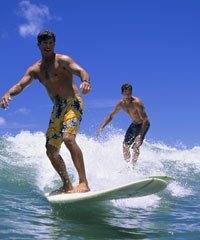 MAUI WAVERIDERS specializes in beginners, cowards, and thrill seekers. The staff adapts the lessons to the students' ability. Classes are in small groups with no more than six students.